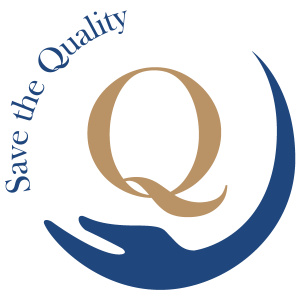 “Save the Quality” is the platform by which, here at Téseris, we want to help encourage and maintain product quality and thus foster sustainability in a strong competitive market for both clients and producers. In this way, because of our experience, we at Téseris are aware that high-quality products involve greater efforts however, we also know that it is easy that this quality, which costs so much to attain, is very quickly discredited by an inferior copy. Employing top-quality raw materials, selecting and taking care of the material right from the first stages of product manufacture until shipment from the factory. Innovation and renovation: if you intend to copy our products, ensure that, in addition to quality, you provide something new and functional for the clients and then we can all learn something and will feel obliged to improve. Use your hands: there is nothing better in this technological age to make a difference than to meticulously create a product and, if this requires manufacture, then this must be carried out. Take maximum care of details, supervising each manufacturing stage so that nothing is out of place. Each product unit is unique and we take great pains to ensure our clients realise this.